House Under Contract? You're Only 1/3rd Of The Way There! So you've been trying to sell a home for quite some time, and you finally have the house under contract. Considering only 45% of home sellers over the past year have succeeded in selling their homes, you feel relieved to know that you will be joining that all-to-exclusive group. But would you be shocked to discover that nearly two out of every three real estate contracts actually terminate without the house under contract going to closing? Sadly, only 37% of people who get their house under contract actually make it to the closing table these days. While there are many reasons that fewer and fewer contracts are closing, it is important to note that the rate has never been 100%. We can see from the real estate graph above, even during the boom of the housing market, only one half of the time did a house under contract actually close. 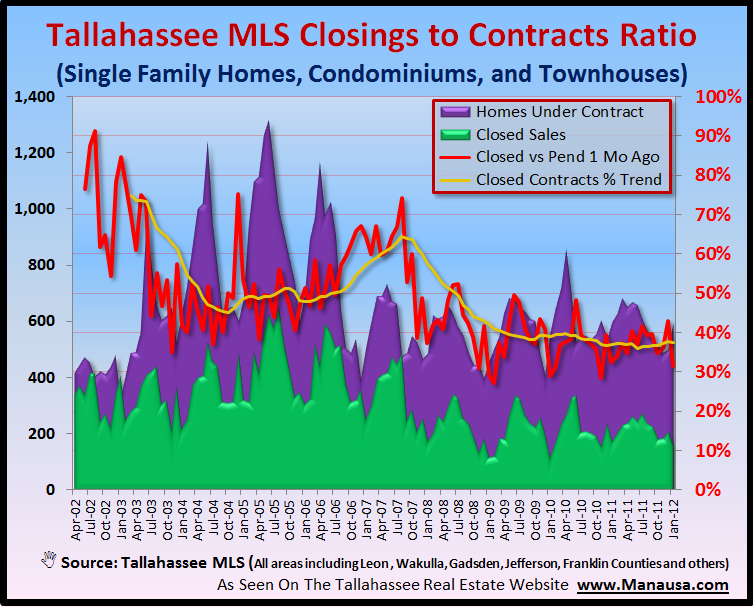 That rate dropped below 40% three years ago, and I think the reasons can be tied to the nature of the supply of homes for sale in Tallahassee. The Chief Economist at NAR (Lawrence Yun) has been writing that the house under contract fallout is mostly to blame on tightened lending standards, but I think there is a much more simple explanation on why just one in every contracts is actually closing. Roughly 40% of the sales in the market right now are distressed properties, and more than one half of these are short sales. 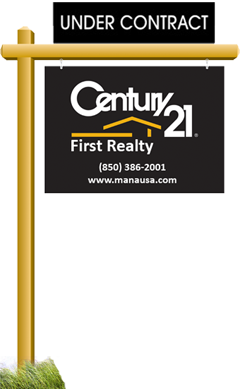 The Tallahassee Real Estate Newsletter was sent out today to our 2,400+ subscribers. You can get your FREE copy of this great Tallahassee real estate resource simply by subscribing right here! When a buyer puts a house under contract on a short sale, the waiting time for closing is a variable that is primarily controlled by the lien holder(s) on the property. Often times, the waiting time exceeds the patience of the buyer, so the buyer voids the house under contract and moves on to another property. So long as short sales are prevalent in our market, we will continue to see a high rate of house under contract cancellations. In every business, in every industry, there are top performers, low performers, and the bulk of people in the middle (average performers). Real estate is no different in that sense, but in real estate, the fee structure for peak performers is not so different from that of everybody else. This is important to know because you can hire the absolute best real estate agent for the job of selling your home, and you most likely will "pay" a rate similar to hiring most anybody else in the market. Of course, the best agent will get your house under contract to closing, and will save you a whole lot more than will an inferior real estate agent.